Large group? No problem! 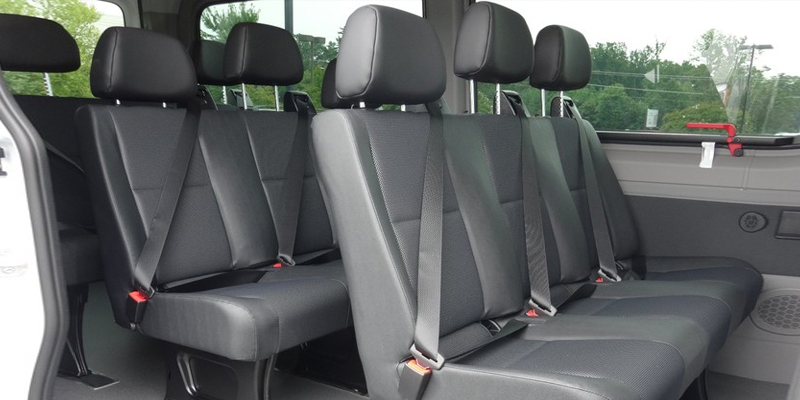 Our chauffeur driven Mercedes Sprinter minibus can carry up to 11 passengers while still offering plenty of space for luggage and equipment. The people mover is one of LuxCar’s most popular vehicles, and a chauffeur-driven experience also aids in alleviating any worries about having to deal with Sydney’s sometimes notorious traffic issues. 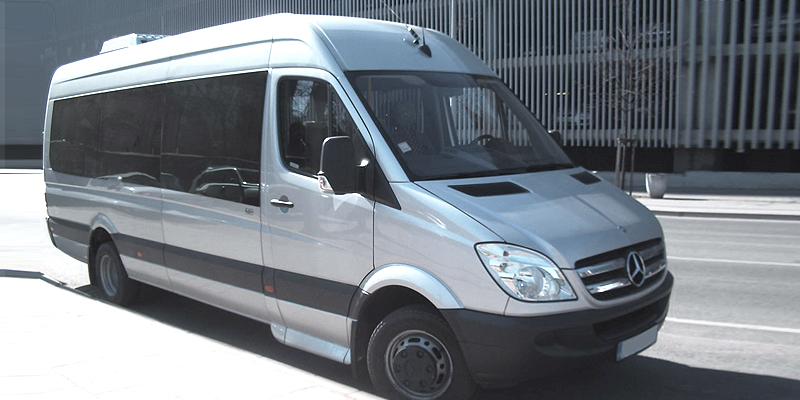 The Mercedes Sprinter is the perfect solution for large families looking for a solution for airport transfers to and from Sydney that doesn’t split the family up, while our professional chauffeur drives you, parents can keep an eye on their kids. 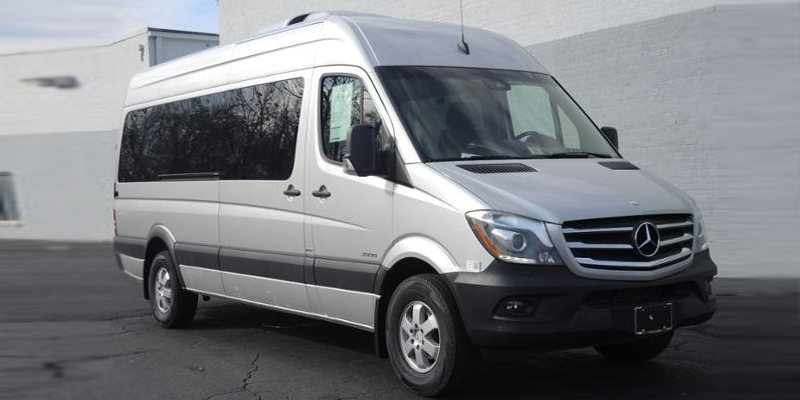 For weddings and corporate events, the Sprinter is the perfect people mover, transporting up to 11 people to one venue or more over the course of a day—there’s no need to worry about traffic: our experienced chauffeur ensures that people get where they need to be on time. LuxCar maintains all its vehicles to a high standard, and we confidently guarantee that you’ll experience the very best service when booking with us. The Mercedes Sprint has set a high new benchmark for premium minibus and it all starts with your dedicated chauffeur. Capable of carrying up to eleven passengers in safety and style, the masculine exterior belies the generous interior. 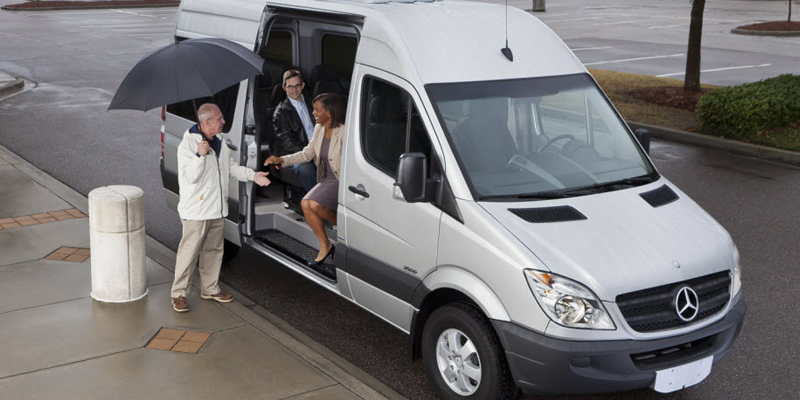 Mercedes Sprint minibuses are well-equipped with state-of-the art climate control systems, Mercedes air suspension and comfortable seats designed to keep passengers happy on even the longest trips. Our Mercedes Sprinter comes with your own experienced chauffeur and a host of other little extras that are designed to make all the difference to your journey. The Mercedes Sprinter offers typical in-car entertainment to ensure that up to 11 passengers are entertained as they are driven to their destination in this superb all-round, multi-purpose premium people mover minibus. Book your Mercedes Sprinter today in order to avoid disappointment. Whether you’re looking for a solution to a big airport transfer to Sydney, a corporate event, wedding or other special occasion, our fleet of Sprinter is on hand to help. Call us on 1300-589-227 today or click below for an instant quote.